This is a new lot. 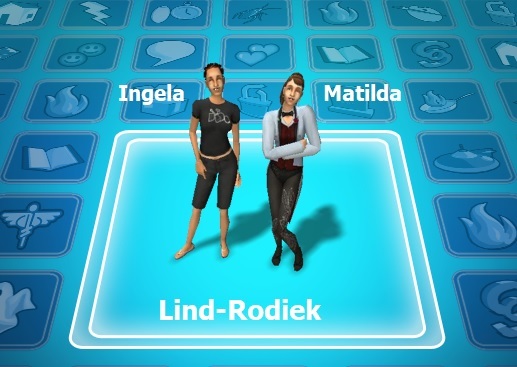 Previously Ingela and Matilda were in Uni and somewhat reluctantly fell in love with each other. Ingela graduated SCL in Drama and Matilda had SCL in Art. Before they left Uni they got engaged on the 1st of September 106. 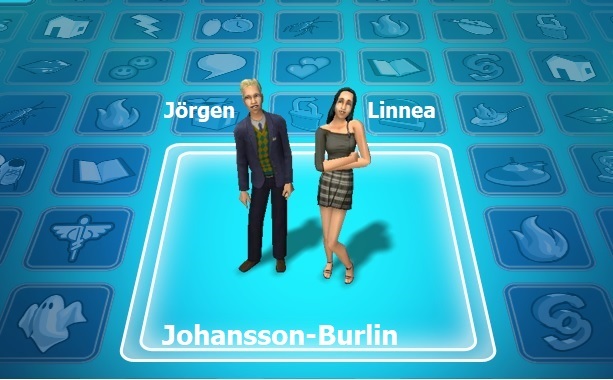 This is a new lot, previously Jörgen and Linnea were in Uni. Jörgen graduated SCL in Biology and Linnea MCL in History. They got engaged. 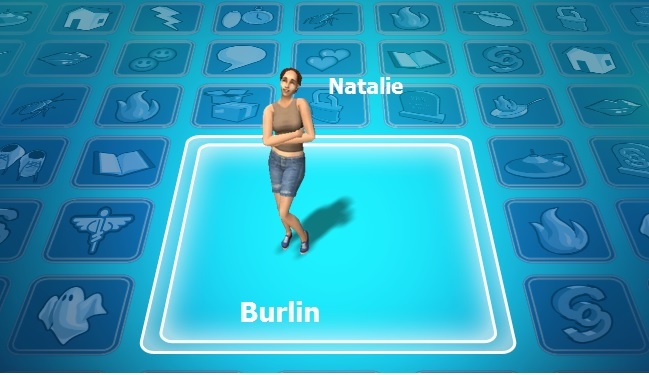 Previously at NB Apartment, Natalie worked in her Lawyer career and whe entertained herself with her room mate Steve. 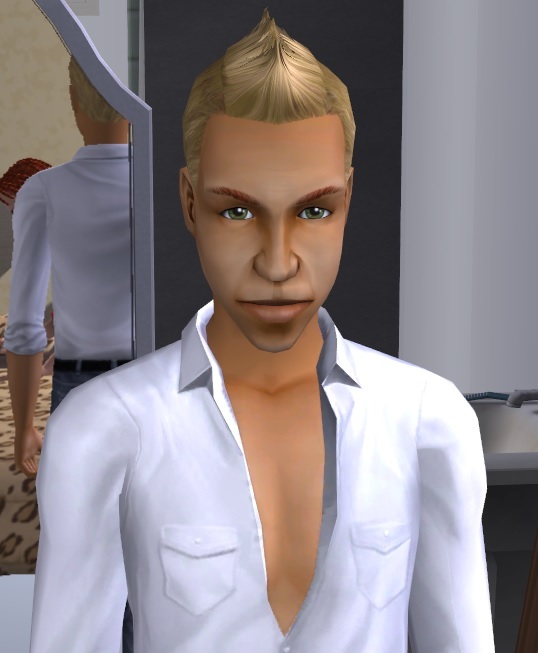 Stefan was born Steve and was invited to become a generation 3 room mate to Natalie Burlin. He's got red hair and green eyes with a light skin tone. He's got a Popularity aspiration and his LTW is to become a Celebrity Chef. He turns on from redheads in formal wear and turns off from underwear. 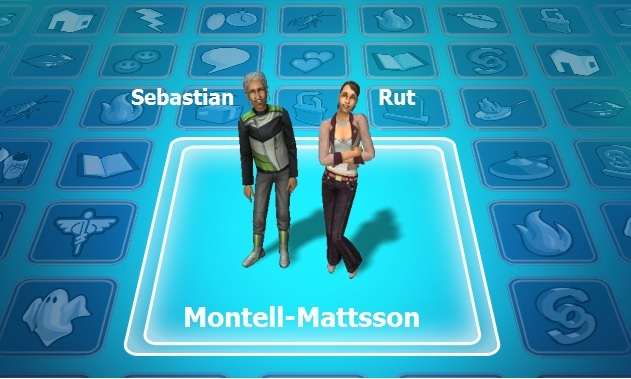 Previously at Bäckby, Sebastian filled his aspiration panel. Rut was demoted and promoted and maxed her Arts&Crafts hobby enthusiasm. She also acquired a secondary aspiration of Knowledge and got a gold badge in sewing. 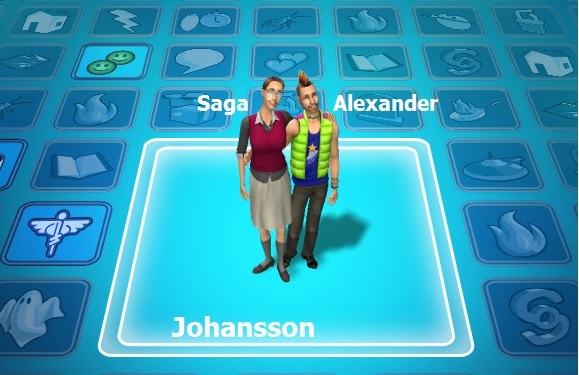 Previously at Storfallet, Alexander and Saga studied. They lost their baby that would have been our first generation 5. They both lost their jobs. Previously at SM Apartment, Sara started her Education career. 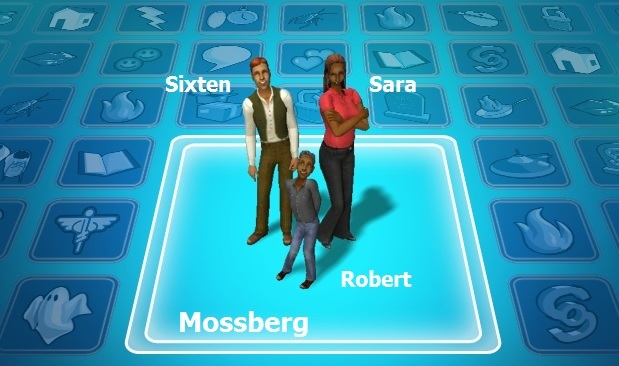 Robert learned his toddler skills and grew up very well to child. Sixten flirted with Annika Lind and him and Sara fell out. Sara gave him the silent treatment for the rest of the round. Robert tried to make friends, but didn't like Jack much. 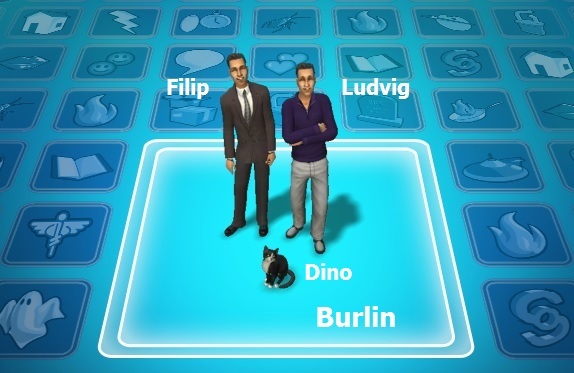 Previously at FB Bachelor pad, Filip played chess and Ludvig worked out. Filip reached his LTW of becoming a Game designer and started looking for a culinary job. They spent time with the neighbours, including their sister Natalie.